Node JS provides the Server Platform for this stack. Mongo DB provides the backend data store(No SQL Database). Express provides the Server-side Framework. Angular JS provides the Client-side Rramework. Single Object Type on all layers i.e. JSON. That means Angular JS supports JSON, Express JS Supports JSON and Mondo DB also support same JSON object to store data. 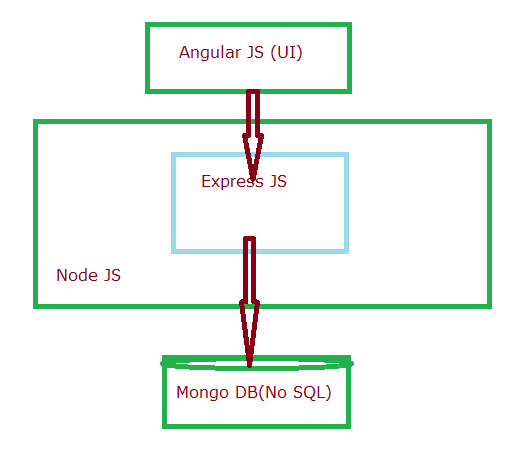 Here we write UI Logic by using Angular JS, Server side logic in Express JS, Data store in Mongo DB and Node JS provides server platform.